I am reblogging Melissa’s excellent post form 2016, it is that good! “Narrative Style, Voice, and Tone.” Enjoy! Literary style is the aesthetic quality of a work of literature—the distinct voice that makes each author unique. It’s the way we string words together, the rhythm of our prose, the catchphrases that pepper our language. 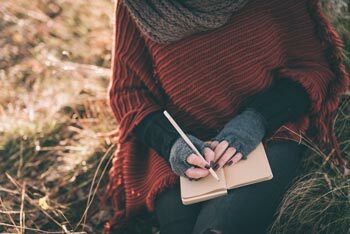 Literary style includes every element of writing in which an author can make stylistic choices from syntax and grammar to character and plot development. Seasoned writers have cultivated a style of writing that can be identified by a snippet of prose alone. For example, a common English literature test gives you excerpts from several authors whose works you’ve studied. The challenge is to identify the author who wrote each excerpt—not because you’ve memorized each author’s repertoire but to show that you can identify each author by his or her voice. Style can be contained in a single work, such as a novel, or it can be observed across an author’s entire body of work. One author’s style might be spartan—minimalist in nature—while another author’s style is rich with vibrant language. An author can also exhibit a range of styles, adjusting the aesthetics for each project, depending on what works best for each piece. Style is comprised of many components. However, it is not any one component; nor is it all of these components together. Each author (or work) uses a unique combination of components to render a style. Among these components are personality, tone, diction, syntax, grammar, and content. Authors also make stylistic choices with grammar and punctuation. Cormac McCarthy is one such author who is known for his omission of punctuation marks. Most notably, he didn’t use quotation marks for dialogue in his novel The Road. Nor did he use italics or any other punctuation marks or formatting to mark the dialogue. Dialogue was indicated within the context of the work. Some authors are known for a style that resonates from the content or the substance of their works. These authors may always write about a particular type of character or topic. For example, one author might write stories that tackle social issues while another writes stories set in hospitals. Style can also be expressed through structure. Some authors tell stories out of chronological order. Others may consistently use framing devices. Or maybe they’re known for including flashbacks throughout their stories. It’s not unusual for young and new writers to ignore style. A fledgling storyteller often focuses on more concrete aspects of story, such as plot, character, and setting, along with other key elements like action, dialogue, and description. However, style is an important consideration, especially in literary fiction. In fact, style is one of the defining features of literary fiction, which is renowned for paying homage to the artistry of wordcraft. Some may even argue that the styling of prose and an author’s voice are more important than the crafting of story in literary fiction. Style, voice, and tone work together to give an author’s work its unique flavor. Readers often form preferences for stories with a particular stylistic quality and tonality. Some readers don’t like dark stories and will only read stories with a light and casual vibe. Some may prefer fast-paced stories that are focused on action and dialogue, while others like to explore the details of a story world with vivid description and exposition. There are readers who like texts packed with long, fancy words and readers who prefer to skim the text rather than check the dictionary every few paragraphs (or pages). Many readers may not even be aware of their own stylistic preferences. They’ll scan the first few paragraphs and find something they like about the narrative voice (or something they don’t like), which informs their decision to buy and read the book, which is why literary style is an important element of storytelling. Previous Post Interview with Teacher Jennie Fitzkee!